Email, texts, mobile phones and even plain old telephone service have struck their death knell against one of the few remaining telegram services in the world. 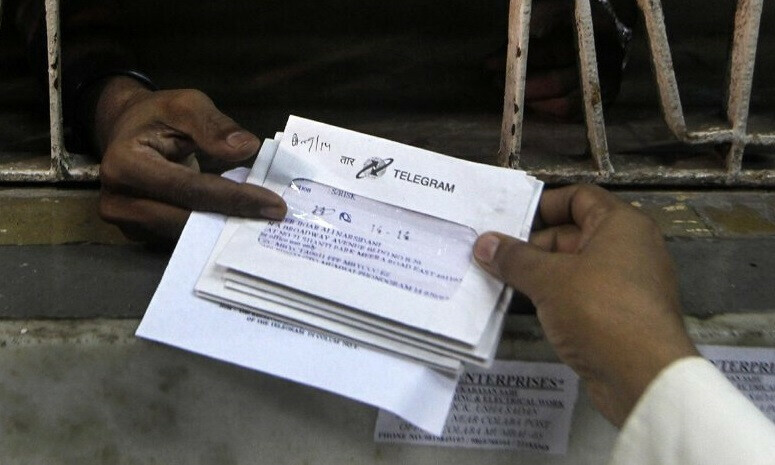 India’s state run telegram service sent its last message Sunday evening and the last remaining 75 telegraph offices will now close. 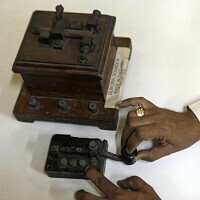 Once there were over 45,000 telegraph offices in India handling over 600,000 messages on a daily basis. The office in the heart of old Delhi alone used to handle more than 10,000 telegrams a day, by the end of the service’s existence, it was sending maybe 100. The enterprise was losing too much money to maintain, several hundred million dollars over the past several years, so it was just a matter of time. Though the fact that telegrams remained a part of the fabric of the country for so long is a testament to their meaning. They were a long standing tradition to provide news of a baby’s birth to family members or jobs offers, even marriage announcements. By the end of the service’s life, they were used primarily for official correspondence, something that email, or even a fax will have no trouble picking up the slack going forward. As you might expect, there has been a rush by people to send a telegram before the service shuttered, enough so that the government canceled holidays and off-work days for employees to handle the demand oddly. The telegrams will be collector’s items and mementos now, likely preserved as pictures in some people’s smartphones as well. - .... . / .-- .... --- .-.. . / .- .-. - .. -.-. .-.. . / ... .... --- ..- .-.. -.. / -... . / .-- .-. .. - - . -. / ..- ... .. -. --. / -- --- .-. ... . / -.-. --- -.. . I don't get it, if they've closed all the telegraph offices in India how will Sprint communicate?? Sprint has no relation with India. It should have said... "STAPH"